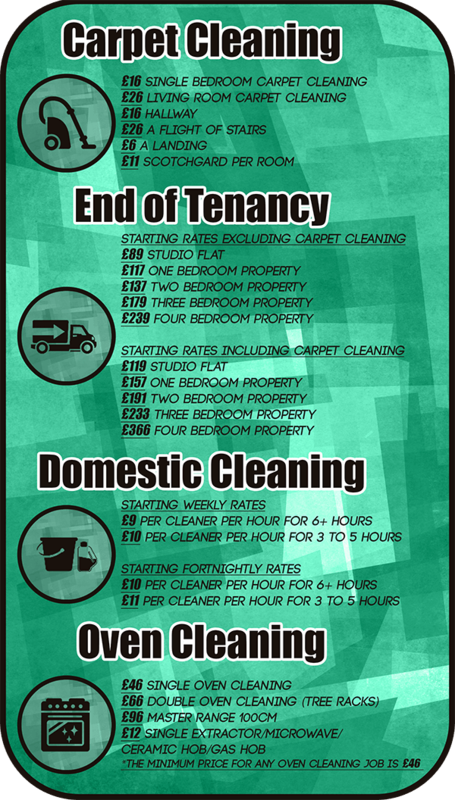 At Monster Cleaning Teddington we try to be as competitive as possible and we offer one of the most affordable rates in the area. We combine the inexpensive prices with exceptional quality and the results are more than great! All prices listed on this site are inclusive of taxes and are final (certain terms and conditions apply). We do not charge any extra fees for working on the weekend or on bank holidays and even though we are situated in Teddington we service the close-by areas on our regular prices without adding transportation fees. Monster Cleaning Teddington does not require any deposit prior the service – payment is organized after the completion of the clean in cash or via credit card directly to the cleaners on site. For a free estimation and a complimentary quotation contact us and provide the requested information to our office representatives. Prices given over the phone are final, without any hidden charges to be added up on a later stage, or a small print to mislead you. To find out more about our rates, the minimums that may apply, our rescheduling and cancellation policy, call us on our phone number.